This was originally presented as an oral statement to the UN Human Rights Council by Sarah Clarke of PEN International on March 15, 2017. 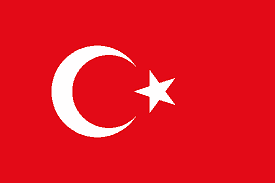 PEN International, ARTICLE 19, and 66 organizations are deeply concerned by the continuous deterioration of freedom of expression and media freedom in Turkey following the violent and contemptible coup attempt on July 15, 2016. Over 180 news outlets have been shut down under laws passed by presidential decree following the imposition of a state of emergency. There are now at least 148 writers, journalists, and media workers in prison, including Ahmet Şık, Kadri Gürsel, Ahmet and Mehmet Altan, Ayşe Nazlı Ilıcak, and İnan Kızılkaya, making Turkey the biggest jailer of journalists in the world. The Turkish authorities are abusing the state of emergency by severely restricting fundamental rights and freedoms, stifling criticism, and limiting the diversity of views and opinions available in the public sphere. Restrictions have reached new heights in the lead-up to a crucial referendum on constitutional reforms, which would significantly increase executive powers, set for April 16, 2017. The Turkish authorities’ campaign has been marred by threats, arrests, and prosecutions of those who have voiced criticism of the proposed amendments. Several members of the opposition have been arrested on terror charges. Thousands of public employees, including hundreds of academics and opponents to the constitutional reforms, were dismissed in February. Outspoken “No” campaigners have been detained, adding to the overall climate of suspicion and fear. The rights to freedom of expression and information, essential to fair and free elections, are in jeopardy. In the run-up to the referendum, the need for media pluralism is more important than ever. Voters have the right to be duly informed and to be provided with comprehensive information on all views, including dissenting voices, in sufficient time. The prevailing atmosphere should be one of respect for human rights and fundamental freedoms. There should be no fear of reprisals. Revoke the excessively broad provisions under the state of emergency, the application of which, in practice, are incompatible with Turkey’s human rights obligations.